Today is the Hindu Festival of Lights known as Diwali. Millions of Hindus, Sikhs and Jains across the world will celebrate the five-day festival of lights The festival this year, which marks the beginning of the Hindu New Year.New beginnings are celebrated with the triumph of good over evil and light over darkness. The actual day of Diwali is traditionally celebrated on the festival’s third day, which this year falls on Thursday, October 23. The festival usually falls between the middle of October and the middle of November, although this is decided upon by the Hindu lunar calendar. 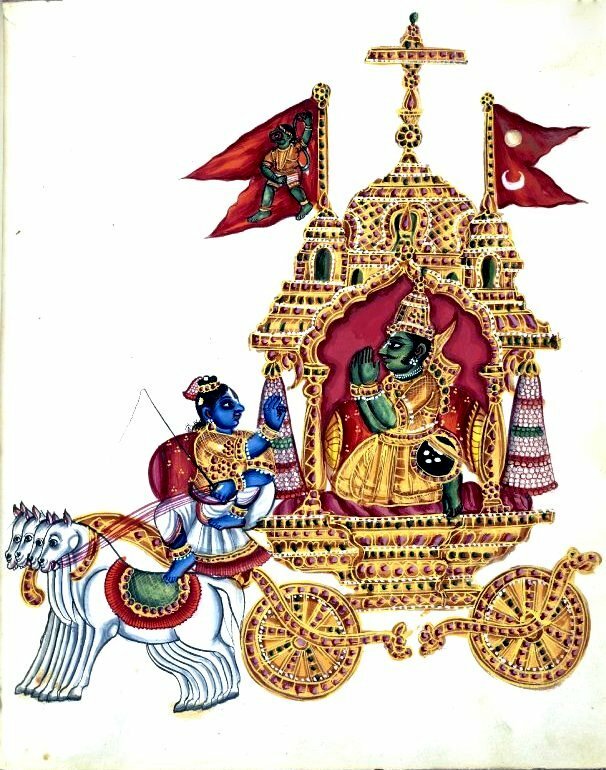 While each of the above faiths has its own reason to celebrate the festival, one of the most popular stories told is about the legend of Lord Rama and his wife Sita who return to their kingdom in northern India from exile after defeating the demon king Ravanna in the 15th century BC. What is eaten during Diwali? Indian sweets, which come in a variety of colours and flavours are served. The celebration also features various rich savoury and sweet dishes.Families will mostly prepare food at home for when guests arrive to partake and exchange gifts and watch the fireworks. Some may chose to eat out at Indian etc.,restaurants While many of us have a traditional roast turkey at Christmas, each family celebrating Diwali will more than likely have its own favourite meal, which is central to the celebrations. In this world there are two orders of being, the perishable and the imperishable. The perishable is all that is visible. The imperishable is the invisible substance of all that is visible. The soul floats like the lotus on the lake unmoved unruffled by the tide. In December when we celebrate Christmas, Jews celebrate Hanukkah ( dedication) also known as Chanukah or Chanukkah; This is the festival of Lights and Feast of Dedication. Hindus also have a festival of lights called Diwali in October. Hanukkah commerates the redication of the Holy(second) Temple in Jerusalem around the second century BC, during the time of the Maccabean Revolt. Hanukkah is observed for eight nights and days, starting on the 25th day of Kislev relating to the Hebrew calendar, which may occur at any time from late November to late December in the western used Gregorian calendar. The alighting of the nine branch Menorah (candelabrum) one candle, bulb etc is lit each night over the eight day festival. The ninth branch (attendant) of the menorah is either above or below the other eight and is the general purpose light. What is a Kumari or Living Goddess? Kumari, or Kumari Devi, is the tradition of worshiping young pre-pubescent girls as manifestations of the divine female energy or devi in Hindu religious traditions. The word Kumari, derived from SanskritKaumarya meaning “virgin”, means young unmarried girls in Nepali and some Indian languages and is a name of the goddess Durga as a child. In Nepal a Kumari is a pre-pubescent girl selected from the Shakya or Bajracharya clan of the Nepalese Newari community. The Kumari is revered and worshiped by some of the country’s Hindus as well as the Nepali Buddhists, though not the Tibetan Buddhists. While there are several Kumaris throughout Nepal, with some cities having several, the best known is the Royal Kumari of Kathmandu, and she lives in the Kumari Ghar, a palace in the center of the city. The selection process for her is especially rigorous. The current Royal Kumari, Matina Shakya, aged four, was installed in October 2008 by the Maoist government that replaced the monarchy. Samita Bajracharya, as the Kumari of Patan is the second most important living goddess. In India a Kumari is generally chosen for one day and worshipped accordingly on certain festivals like Navaratri or Durga Puja. In the Indian state of Bengal this is a particularly prevalent practice. A Kumari is believed to be the incarnation of the goddess Taleju (the Nepalese name for Durga) until she menstruates, after which it is believed that the goddess vacates her body. Serious illness or a major loss of blood from an injury are also causes for her to revert to common status. A Nepali girl shut off from her family and peers during her decade as a living goddess says she’s happy to have settled back into normal life, it’s reported. Preeti Shakya was three when she was separated from her parents to live a secluded life, revered as the Kumari by Hindus and Buddhists. Now 16, she has to study a lot but is “happy nowadays when I think that I can get out of my house anytime I want”, China’s Global Times newspaper reports. When a living goddess, Preeti was apparently only allowed out of her palace about once a month, with weekly visits from her mother and older sister. When she finally left Kumari House after reaching puberty, she was afraid of cars and felt everyone was staring at her, she says. She seems to be adjusting well in her new life, the Global Times suggests. But some human rights groups have called for the abolition of the centuries-old Kumari tradition due to the psychological impact on the chosen girls, the paper says. It was on this day that Gandhi was assassinated in New Delhi by a Hindu Fanatic. Gandhi was the spiritual and political leader of the Indian independence movement. (2 October 1869 – 30 January 1948), commonly known as Mahatma Gandhi, was the preeminent leader of Indian nationalism in British-ruled India. A man who is swayed by negative emotions may have good enough intentions, may be truthful in word, but he will never find the truth. A profound understanding of religions allows the destruction of the barriers that separate them. Duties to self, to the family, to the country, and the world are not independent of one another. Our contribution to the progress of the world must, therefore, consist in setting our own house in order. Remember that his own religio is the truest to every man even if it stands low in the scales of philosophical comparison. There is no God greater than Truth. True morality consists not in following the well-beaten track, but in finding out the true path for ourselves and in fearlessly following it. What is faith worth if it is not translated into action?